I've often wondered just how common Welcome Swallows were before European settlement in Tasmania. 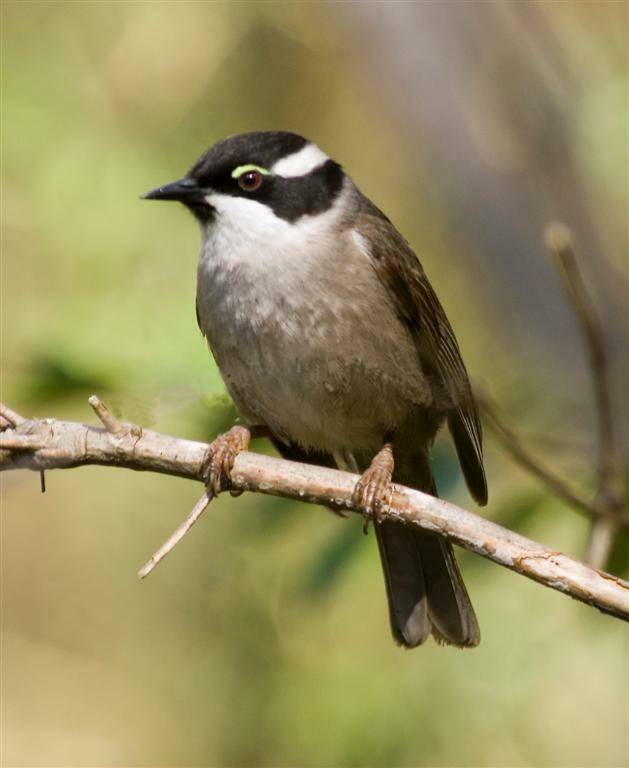 At the moment, almost every bridge and the larger concrete culverts, 'sport' a pair or more of these birds. And , of course, many sheds, and the eaves of houses, support them too. I can't recall ever finding a nest in anything not man made. Presumably, before settlement, they nested in hollow trees, caves and similar, but would they have been as commom? The similar Tree Martin still primarily nests in trees, often colonially, but occasionally uses pipes and holes in concrete. For several years, martins nested in the exhaust pipe of an old crane on the Hobart Waterfront, and may still do so. 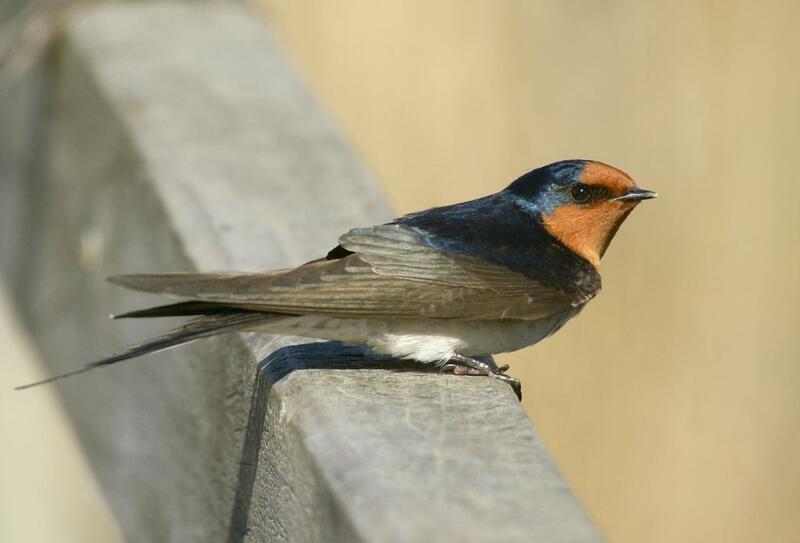 I recall photographing the similar Swallow (hirundo rustica) that is found in England. It had chosen to nest on top of a heater in a bathroom. I photographed a parent bird feeding young at the nest, which was published in the local paper, I suspect with the usual comments about English Summers. The owners of the house used the photo for the front of their Christmas card! The Welcome Swallow shown here, was photographed recently at Gould's Lagoon. There was a time when Orielton Lagoon was at the top of many local birders list of birding venues. 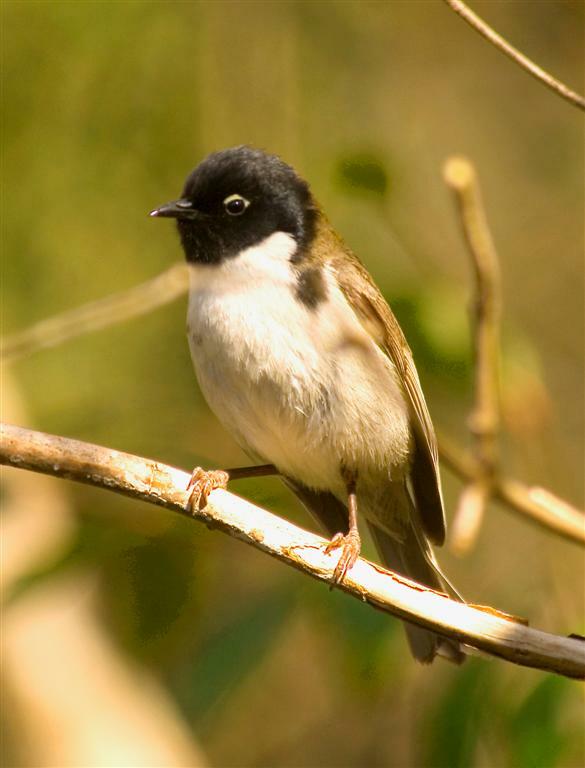 Two decades on from those 'halcyon' days, it doesn't register on many birders radar at all. In mitigation, it must be said there have been many changes in that time. The lagoon is now semi tidal, and largely salt water, this to accommodate the local sewage works. 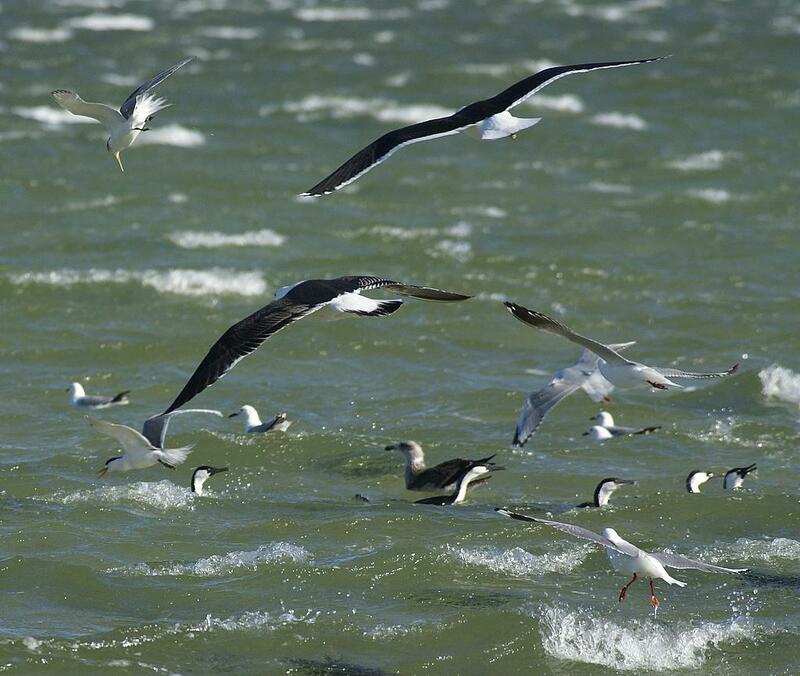 There is a burgeoning Kelp Gull colony, and the march of housing development, has crept ever closer. Despite all those negatives, it's still worth a visit, but it's at its' best at high tide. My visit earlier this week, was primarily to photograph a Greenshank, a species I have so far failed to get. Unfortunately, the Bartails and the Greenshank were r oosting together, so I knew it would be fraught, and it was! I approached the flock with some care, but they took flight. I managed to get a few shots before they settled again some metres away. At this point I decided against trying again, I felt they get enough disturbance without my adding further to it. 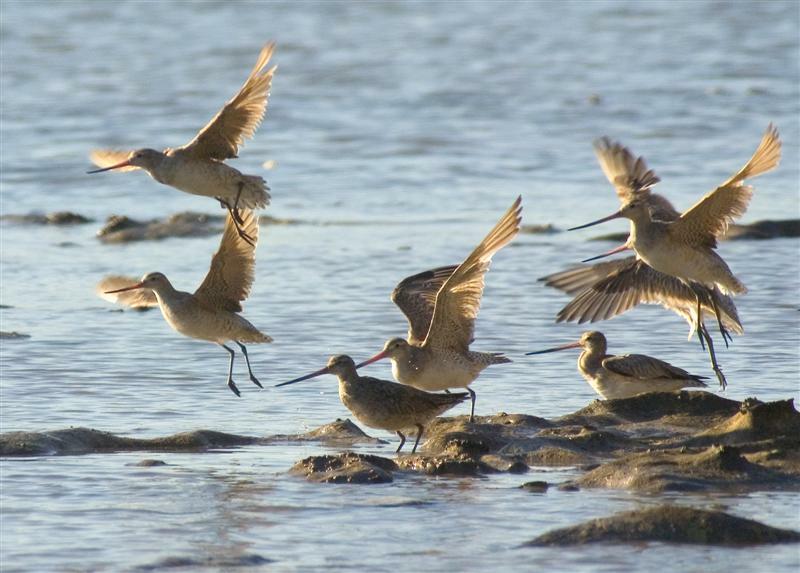 The flock consis ted of around 80 Bar-tailed Godwit, c.20 Greenshank and 10 Curlew Sandpiper. 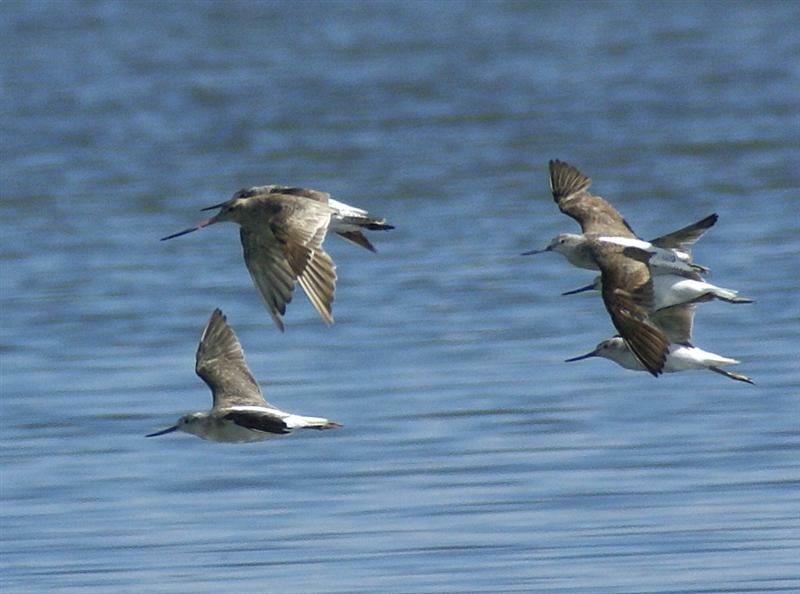 The Red-necked Stint prefer the Sorell side of the lagoon where there were approx. 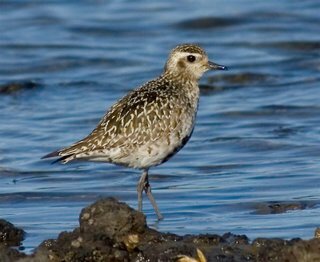 700 stint with 2 Pacific Golden Plover. The GPs were surprisingly easy to approach, and I managed a few shots. The plover seem to prefer the open ground near the golf course, where they sometimes number over a hundred birds. Orielton Lagoon is still worth a visit. Images: Upper left, Pacific Golden Plover; lower left, Curlew Sandpiper; upper right, Bar-tailed Godwit; lower right, Greenshank (and a solitary Bartail). It's been a while since I birded the Truganini Reserve in Taroona, only a matter of a few kilometres from the centre of Hobart. I sought shelter from the wind at the weekend, in this reserve, and determined to get back there in better conditions, which I did yesterday. Although it's only about 43 ha., and pretty narrow, it's certainly worthy of mention. It runs from the main road upto the Mt. Nelson lookout and, according to the notice at the entrance, takes about 90 minutes for the round trip. I'll take their word for that, as I only birded the first 7 or 800 metres or so. 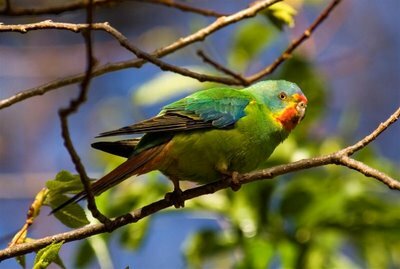 I recorded around 30 species in or flying over the reserve, which for the first part at least, follows the creek line, and consists of eucalypt, with fairly dense undergrowth. 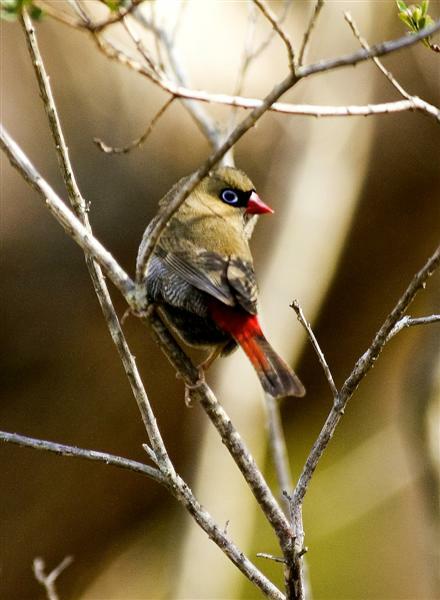 I managed to take all the accompanying images in the 3 hours that I birded there, but I also managed shots of Golden Whistler, Yellow-throated Honeyeater, Beautiful Firetail, Scarlet Robin, Blackbird and Silvereye. Perhaps the birds are used to people, or I was just lucky, but it was a great birding and photography session. Other birds seen included Dusky Woodswallow, Green Rosella, Dusky Robin, Fan-tailed Cuckoo, Shining Bronze-cuckoo, Yellow Wattlebird, Crescent Honeyeater, and Striated and Spotted Pardalotes. All in all, well worth a visit. 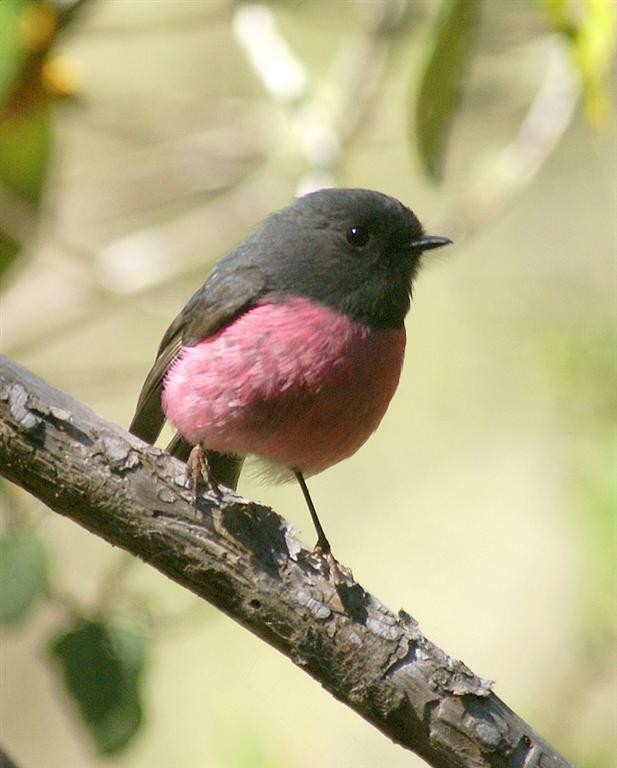 Pictured are, top right,Strong-billed Honeyeater, bottom right, Black-headed Honeyeater, top left, Pink Robin, bottom left, Tasmanian Scrubwren. The Strong-billed and Black-headed Honeyeaters are endemic to Tasmania, as is the Scrubwren. It's all happening out there! A recent visit to the Peter Murrell Reserve at Kingston, on one of the few still days, produced a rash of sightings of breeding birds. From the car park, I made my customary walk rould the 'pond', looking out for the Tawny Frogmouth that bred there last year. Much to my surprise, there it was, still using the same site and I even found it without the usual 15 minute search. Further down the track, passing the Spotted Pardalotes, to and froing from their nest hole alongside the track, and the Grey Shrike-thrushes seeking insects from under the bark, I heard the unmistakeable sound of Dusky Woodswallows. 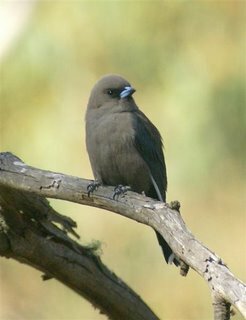 Stopping to try to photograph them, I watched as 2 birds displayed and chased each other, watched by 2 presumed females woodswallows, one shown at left. 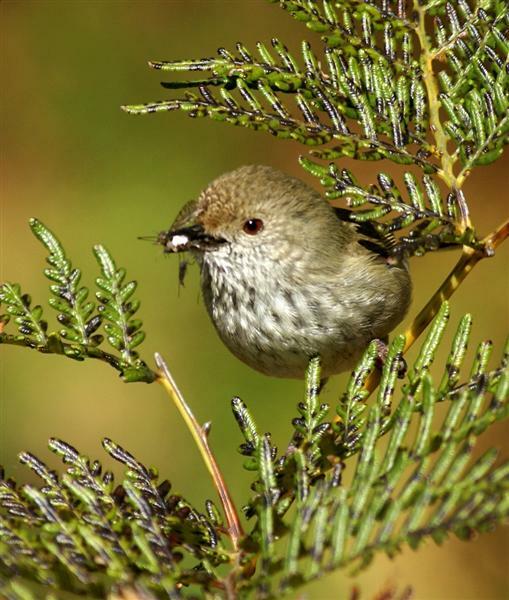 While I was engaged in that, I became aware of a Brown Thornbill close by (photo at right), carrying food, (I think it's a mosquito). I was obviously close to the nest. Quick shot, and away. As I moved back onto the track, I disturbed a Dusky Robin from it's nest behind the bark of a large eucalypt only about a metre f rom the track. On the return leg, I passed Fortyspots, carrying food. 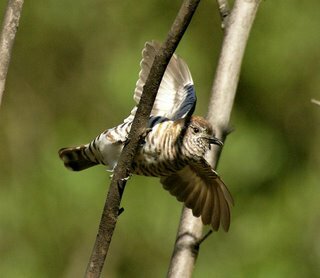 Nearing the car park, I watched and photographed a displaying Shining Bronze-Cuckoo (photo at bottom). This is about the fourth or fifth 'shining' I've photographed displaying in the last month, having never witnessed them displaying before! I have spent a deal of time watching them though. I'm coming to the conclusion that they travel in pairs--probably not unlikely, I would guess. I think I may be suffering from Swift Parrot Neck Syndrome! Tipped off by Gillian Lord that there were fair numbers of Swift Parrots at Sandown Park, Sandy Bay, I spent a few hours trying to photograph them. This entails spending most of the time looking almost straight up at the tops of substantial flowering Blue Gums, desperately trying to find the parrots among the almost identically coloured gum leaves. I think I'm getting too old for this caper. By luck rather than skill, I managed to get a few useable shots when they decided to roost in a nearby Elm tree. The flock appeared to consist of around 60 individuals, some of them seemed to h ave paired. 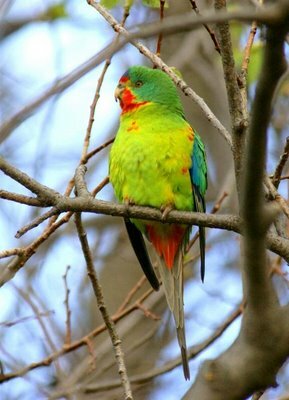 It was something of a smogasbord of parrot species, at least by Tasmanian standards, with both Green and Eastern Rosellas, Galahs and Musk Lorikeets also present. The presence of the latter made spotting the Swift Parrots all the more difficult. Most of the flock briefly fed on the ground, consuming the abundant Elm seeds. However, they were rather 'flighty', and the presence of numerous joggers, walkers and dogs, made approaching them difficult! 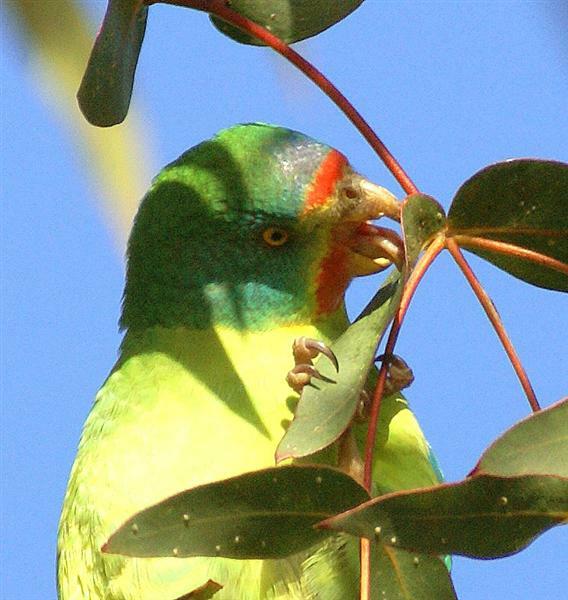 They also fed in nearby non-flowering eucalypts, and for a while I puzzled over what the attraction was. As the bottom left photo. shows, they were licking off the lerps, or rather, they were eating the sugary coating that the lerp covers itself with. Sandown Park is well worth a visit at the moment, especially to watch the "swifties". Take your camera, you might just be lucky. Perhaps it would be more correct to call it a fishing frenzy. On a day of gale force winds that made birding difficult, if not almost impossible, I ventured out anyway, although my birding was virtually confined to the car. 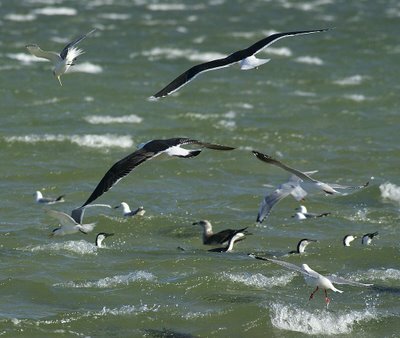 I drove along the South Arm Neck and found a mixed flock of birds frenzily chasing after what I assume were small 'bait fish' of some sort, only about 20 metres from the shore (and the road). The flock consisted of about 35 Black-faced Cormorants, 20+ Kelp Gulls, some 40 odd Silver Gulls and a small number of C rested Terns. The cormorants appeared to be driving the fish into the shallows--the water would be less than 30cms deep here--and the gulls and terns were hovering in the 40 knot wind and grabbing anything that presented itself. The shot doesn't really do justice to the scene (clicking on the image to enlarge it might help), and shows only a small portion of the action. Nevertheless, it was an exciting 15 minutes. 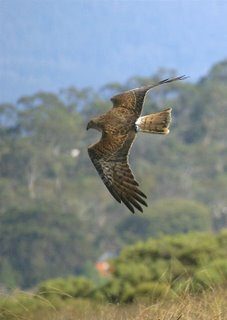 As something of a bonus, I also managed to take a shot of a passing Swamp Harrier, also using the gale force winds to advantage. I had a surprise visit from Bill and Els late on Sunday afternoon. 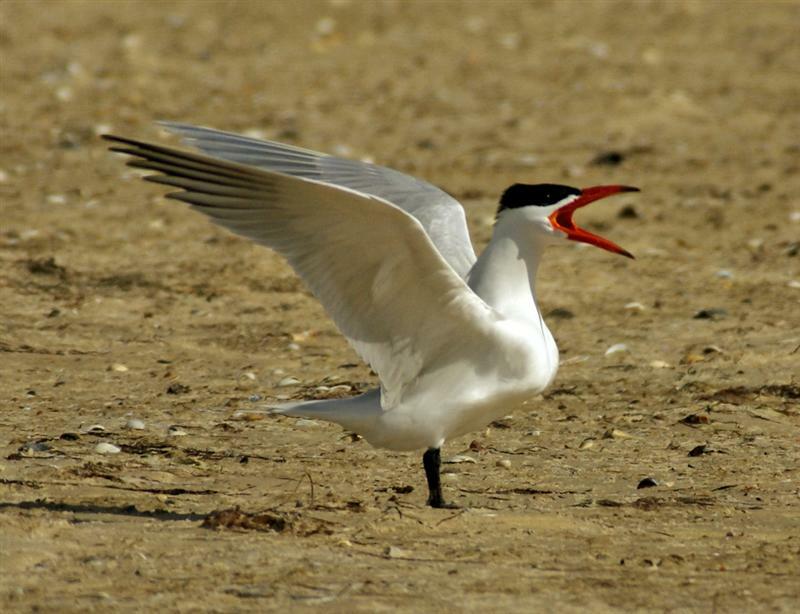 They had just seen and photographed an Arctic Tern at Lewisham Lakes--the Forcett Lakes Golf Course lake to be precise. 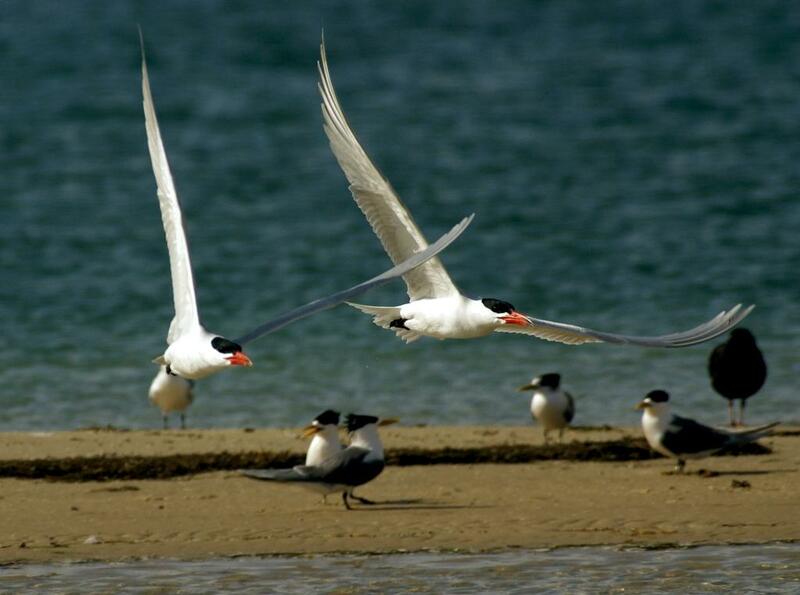 The Arctic Tern is a rare visitor to Tasmania, and several of the records are of beachwashed birds rather than live ones. Foolishly, I didn't ask for a copy of any of their shots. Actually, they persuaded me that the bird would still be there the following day, and I might get better shots. Can't imagine why I believed that, probably let flattery get the better of me! As you probably guessed, despite two visits, one in the morning and another in the afternoon, there was no sign of any terns, Arctic or otherwise. Despite that, this venue is a pleasant place to bird, and there is usually plenty to see. I didn't come away completely empty handed as you can see from the accompanying shots. 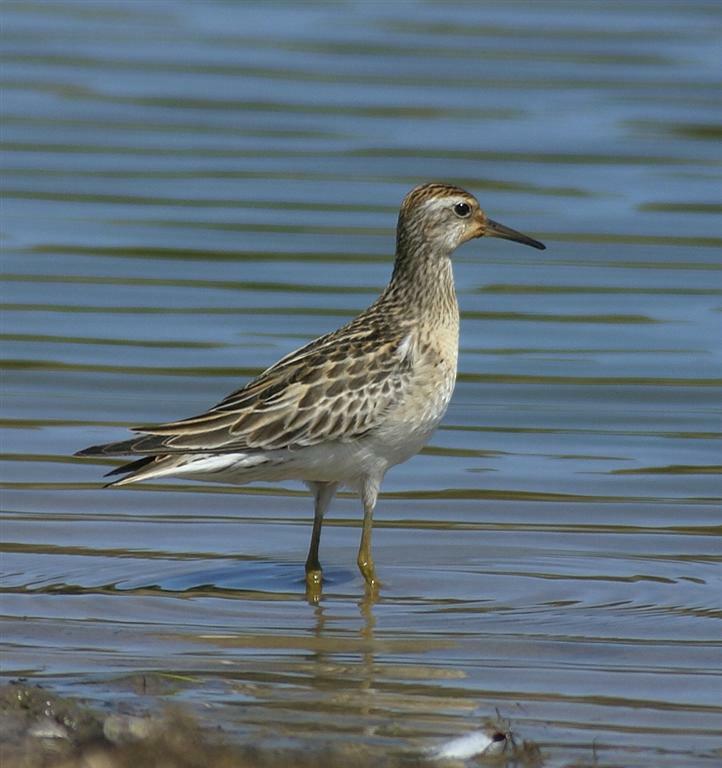 Bill had mentioned seeing a few Sharptailed Sandpiper at the lake, and during the morning visit I saw 3 flying round. In the afternoon, I wandered round the margins of the lake near the club house, and while trying to photograph a pair of Black-fronted Plover, I came across this solitary Sharptail seen at left. 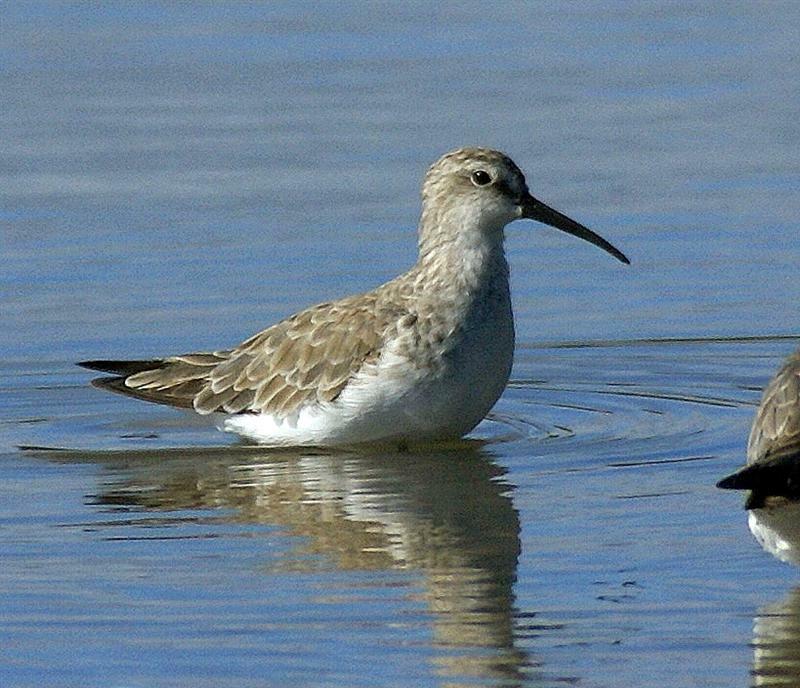 Sharptailed Sandpipers aren't rare in Tasmania, but in recent years, I've seen very few. Both Orielton Lagoon and Barilla Bay were good spots to see them at times in the past. This is my first attempt to photograph them, and probably because this bird was alone, I was able to get surprisingly close. 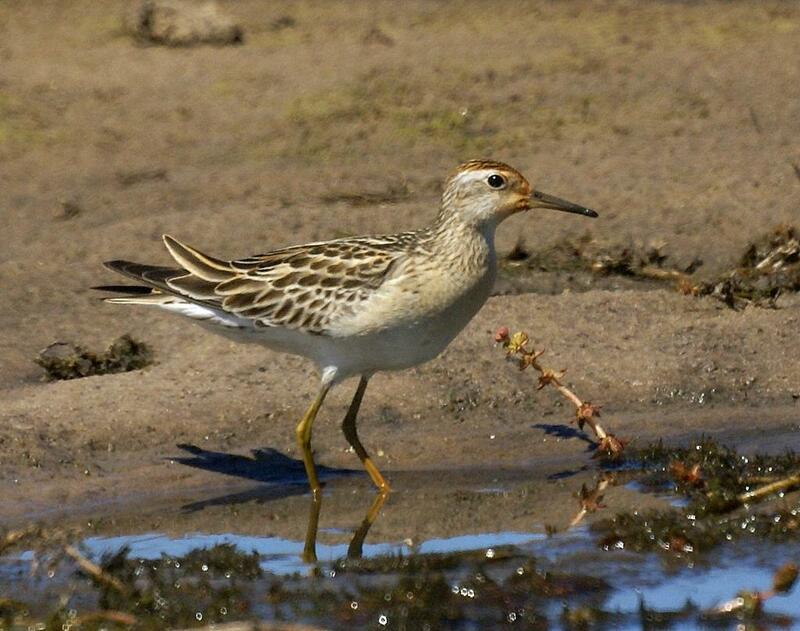 This venue has the possibility of 'hosting' the odd Pectoral Sandpiper too, being fresh water. John Tongue writes: The literature for Maria Island (a very pleasant place to spend a few days of holidays) speaks of the resident Cape Barren Geese--released there between 1969 and 1971, as part of a species preservation programme--as being the World's second rarest species of goose. 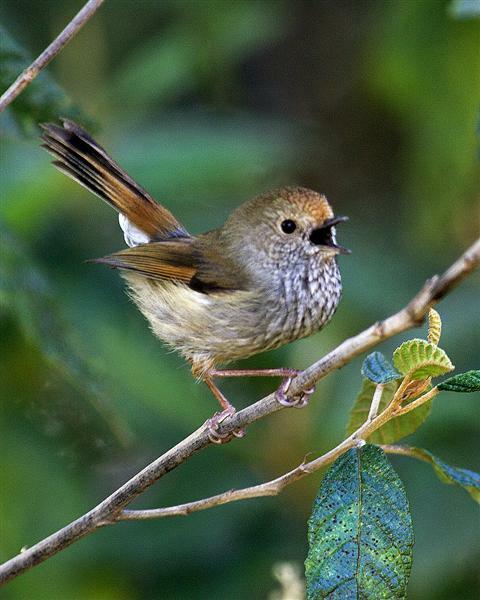 Certainly, they are a species of very restricted range, both nationally, and therefore, internationally. However, they are doing very well on Maria Island! We would have noticed possibly 60 adults, mostly getting around in pairs. Many of these pairs had offspring ranging from eggs (an interesting exercise to confirm there were eggs in that pile o f down), through to half grown juveniles. 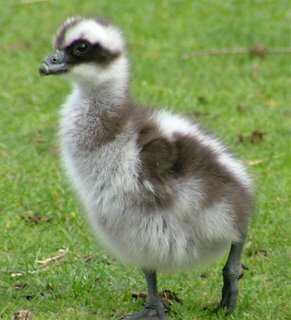 Just around Darlington alone, there would have been about 6 or 7 family groupings, ranging from 2 to 5 goslings per family. 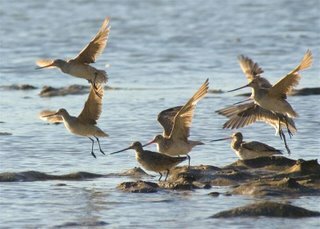 All the grassed areas have been cropped very short by a combination of Geese, Wombats, Wallabies and Kangaroos, and the ferry operator reports groups of geese leaving the island through shortage of food, and becoming quite a pest to farmers along the East Coast. 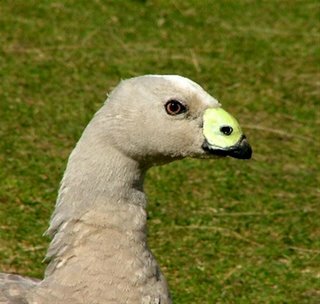 It seems the preservation programme has been highly successful, and the World's second rarest goose is doing quite nicely, thank you very much! Meehan Range Fire. A Birders Perspective. then occasional heavy rain, has left a very thin soil. The area is in need of some TLC, but unless the general populace take some control, it will continue to be abused by a small minority. Apart from putting up signs, "Parks" largely ignores the area. To be fair, with a ludicrously small number of rangers to cover reserves throughout South East Tasmania, I don't see that changing. Now for some good news! As I walked towards the fire scene, I was struck by the numbers of birds calling, which considering the thick smoke that covered the area in the last few days, was heartening. 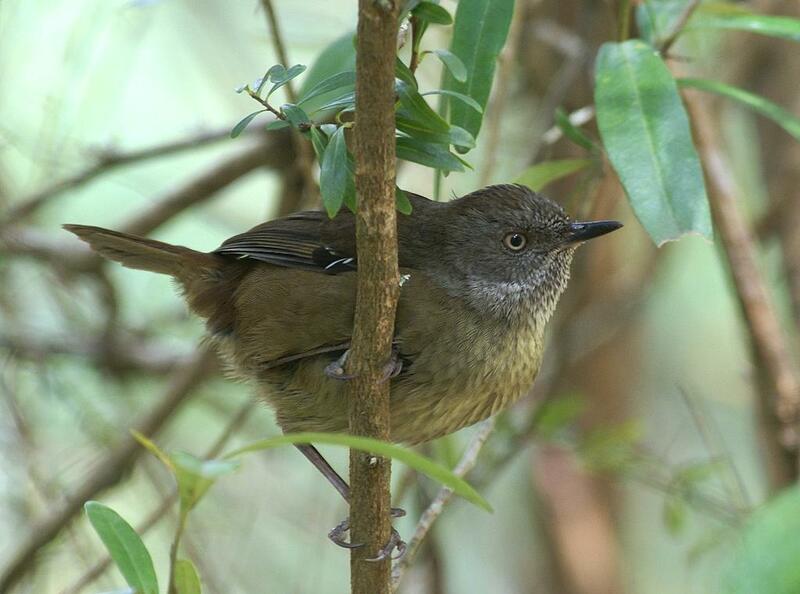 Even a few pairs of Brown Thornbills, within 50 metres of the still smouldering bush, were gleaning insects. I did wonder what happens to birds caught in fires. Do they fly off? If they did you might expect an over abundance of birds on the perimeter. Perhaps someone could enlighten me. Just as a footnote. 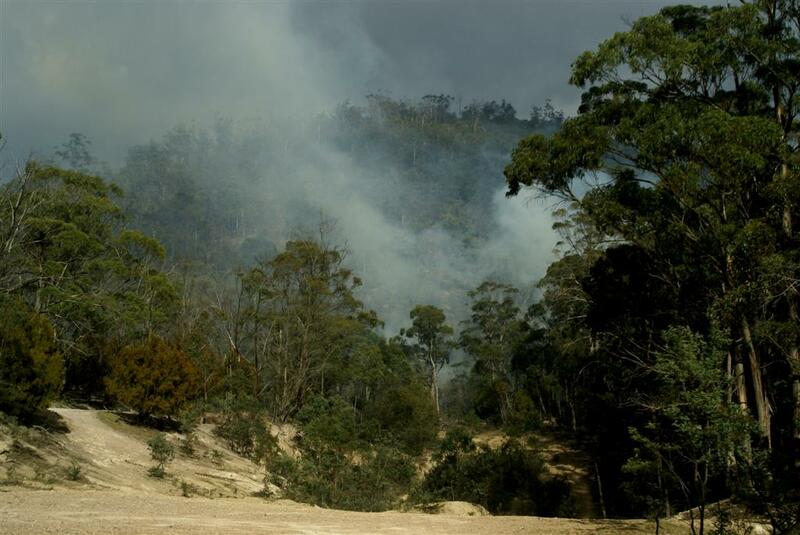 This morning came the news of a Sorell Fire Unit that had been stolen, crashed and equipment stolen. As if the Rural firefighters hadn't had enough to contend with over the last few days, fighting fires. There are a few in our community that beggar belief! I spent an interesting morning in the Meehan Range on Tuesday. 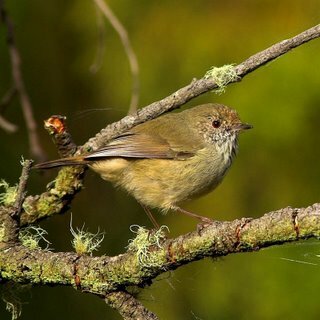 I had already seen Common Bronzewing, Black-headed, Strong-billed and Yellow-throated Honeyeater, Eastern Spinebills, Dusky and Scarlet Robins, to name a few, and was looking for Tasmanian Scrubwren in Stringy Bark Creek, when I heard the unmistakable call of a Beautiful Firetail. They give a monosyllabic "weee", which I can give a passable imitation of by whistling as I draw air in (rather than out!). Whether the birds are fooled is a moot point, but I did manage to get close enough to take the shots shown here. They did get a bit frantic, caused, no doubt, by the probability of having a nest nearby. I neither found or looked for a nest, but I have found many in the past. Often seeming to use Banksias (marginata), I suspect here they were using the Native Cherry, which abounds. WYS isn't always WYG ! What you see isn't always what you get! A recent sighting (Sunday) on the Derwent Marshes at Granton, is a case in point. For a split second I really thought I had something unusual, if not downright rare. 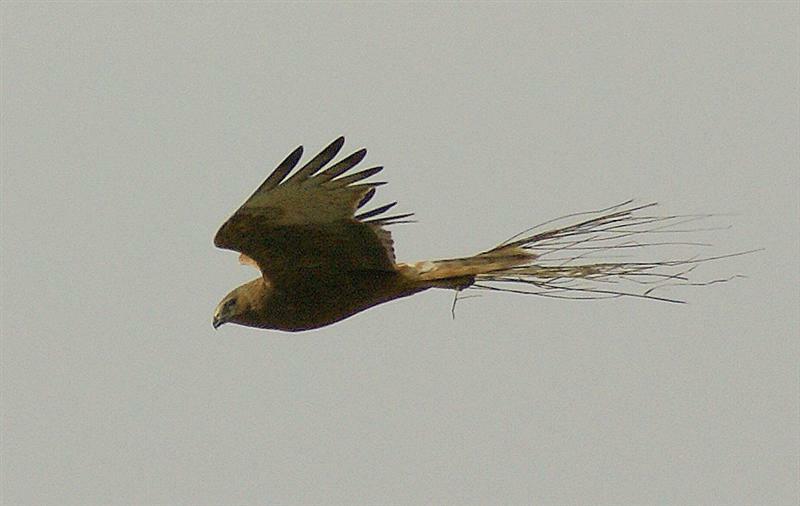 A large bird with a deeply forked tail. At least that's what I thought I had. Sighted at some hundred of metres away, I quickly took a shot, before concentrating on the ID. As you can see from the image at right, it was in fact a Swamp Harrier carrying nesting material, albeit a rather large piece. In my defence, I do think it looks as if the vegetation it's carrying, is an extension of the tail (doesn't it?). A recent trip to Marion Bay Spit gave me the opportunity to renew my acquaintance with one of my favourite birds, the Caspian Tern. I'm not quite sure what it is about them that has always fascinated me, perhaps it's their slightly exotic look, or perhaps, more likely, their somewhat pugnacious habits. 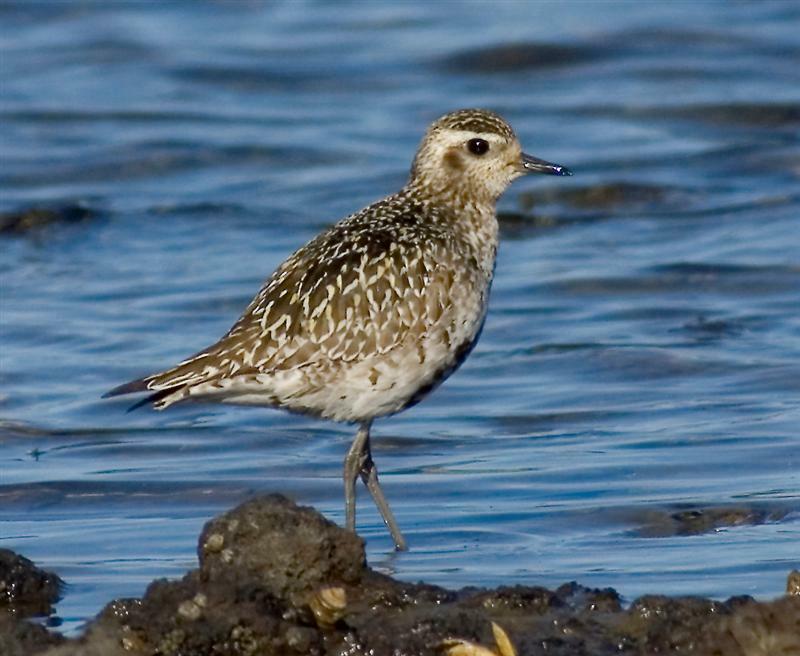 I have seen Caspians on three continents, including most recently, on the shores of Lake Michigan. Caspians are the largest of the 38 or so terns found worldwide, h aving a wingspan of around 135cms., which is similar to both Kelp and Pacific Gulls. They usually return to Tasmania during September, and many coastal areas around the state, will have a pair or two, with numbers increasing later in the year with the influx of young birds. 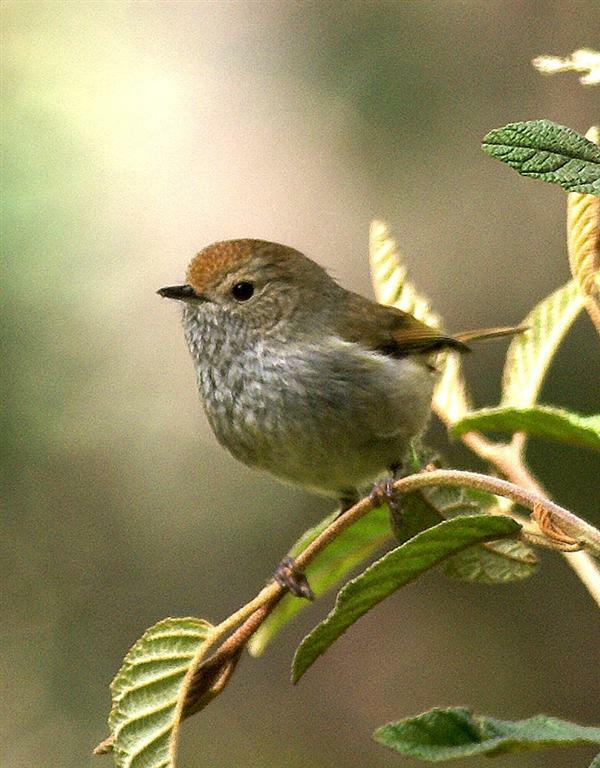 Most of the breeding takes place on offshore islands, with The Nuggets (off the East Coast), being the largest known colony. Most birds leave by late April, with the occasional bird overwintering. The birds pictured here, seemed somewhat suspicious of my motives on approaching them, and turned on the aggressive display seen here. 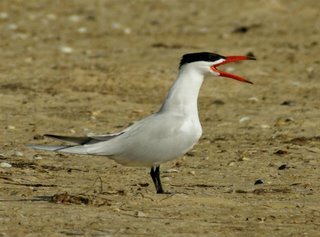 However, approach a nesting pair and the display will get much more aggressive, to the point of diving at the individual, much as Masked Lapwing do, accompanied by a deep guttural call. Quite intimidating! 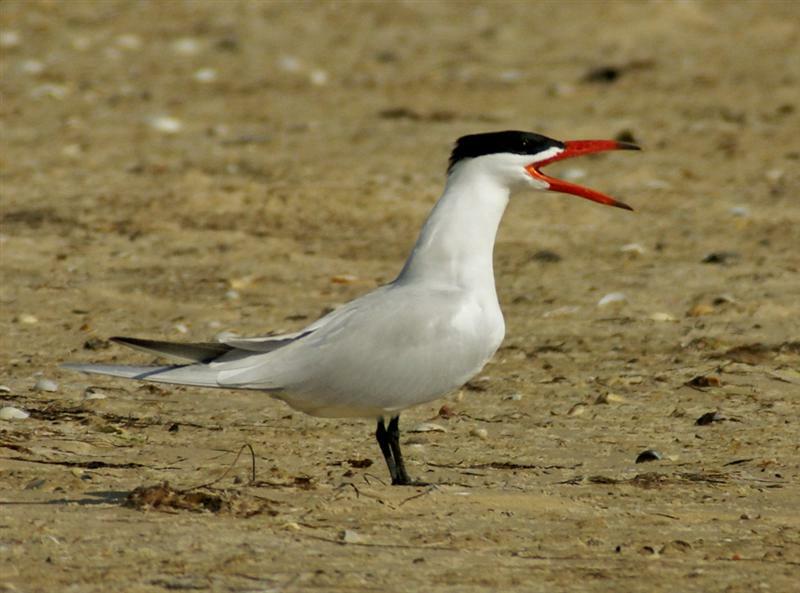 This pair will probably breed on nearby Visscher Island. 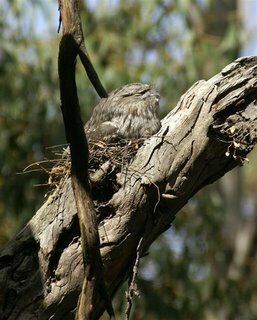 I thought it might be useful to publish together, shots of both the Tasmanian (top), and Brown Thornbills (bottom). Let me say straightaway that in the real World of birding, you seldom, if ever, see them together. Also, the shots were taken in different light conditions, but that's all I've got folks! Local birders seem to mainly rely on the head markings and I think the shots show the difference. 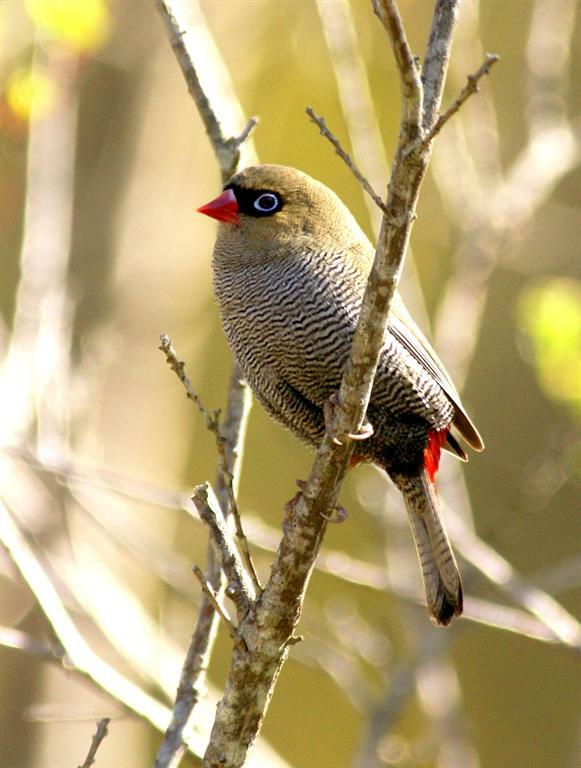 Personally, I've often used the undertail coverts, especially useful when the birds are high in the tops of trees. In the 'brown' they are light buff and in the 'Tasmanian', pure white--difficult to see in the image here, but I have found that to be diagnostic, and often on "Tasmanian', these coverts are 'fluffed' out. In the main, Tasmanian Thornbills inhabit wetter, denser habitat, than Browns. If any readers have their own 'pet' way of separating them, I'd be pleased to hear from you. I'm certainly not setting myself up as an expert! 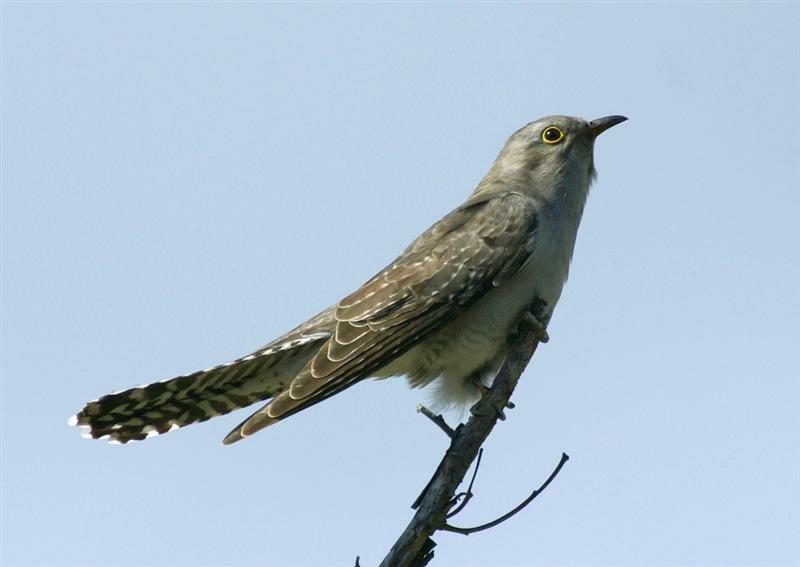 Yes another cuckoo! 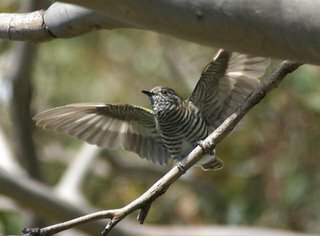 Visiting the Meehan Range yesterday, "chasing" the elusive Horsfield's Bronze-cuckoos, I came across a few Pallid, all, with one exception, adult birds. The exception is the bird at right, which looks to me, as a bird I would identify as in immature plumage. However, I don't recall seeing one in this plumage at this time of year before, and at least one 'handbook', suggests that I should be able to differentiate the plumages of male and female Pallid Cuckoos. Am I right in my assumption that this bird is an immature and are they regularly seen in this plumage at this time of year? I've added a 'new' shot of an adult Pallid Cuckoo too. I failed to find a single Horsfield's! 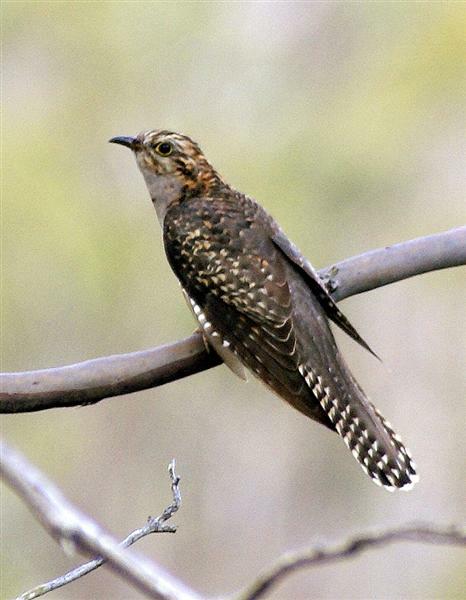 Ever since I made an error in a recent blog (I unwittingly substituted a shot of a Horsfield's Bronze-Cuckoo with a Shining Bronze-Cuckoo--it was a better image), I've been "chasing" these Cuckoos. While reviewing the shots, I realised that they're a little more difficult to distinguish than I previously believed. That is to say, the field marks that I have been using, aren't quite as definitive as I thought. Let me just say at this point, that I've relied heavily on calls, and with such a cryptically marked bird, that is often the first ( and sometimes the only) inkling that they are about. 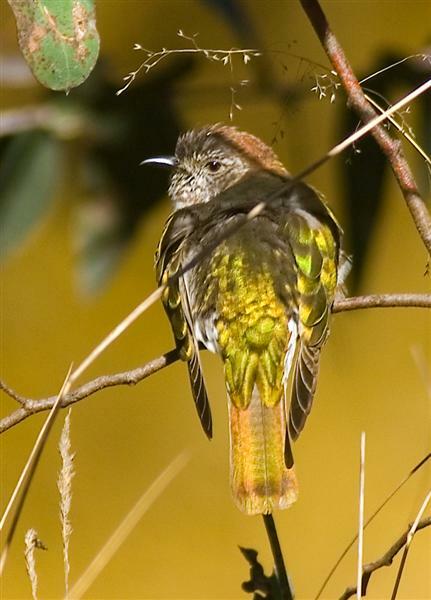 Pictured here are some shots taken in the Wielangta Forest of Shining Bronze-Cuckoos. I suppose because they are so cryptically marked, we generally see the odd bird, but while photographing them, I realised that they often, usually?, travel round in pairs. I guess that I shouldn't be too surprised at that. I noted them displaying too, which I also had not witnessed before. The shot at left shows a 'shining' apparently about to fly, but in reality, it's displaying its' wings at another 'shining'. It does a sort of slow flap, showing off the bronze sheen of its' wings. 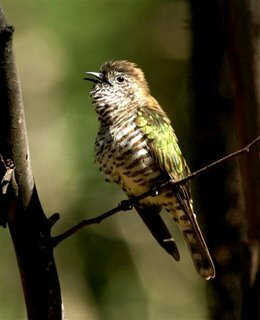 Often when calling, I note d this would trigger the arrival of Tasmanian Thornbills. They would often scold, as in the photograph at bottom and even chase off the calling bird. As a "host" to this cuckoo, I can only assume they recognise the potential threat, but that may be jumping to conclusions. I'm hoping to next get images of "Horsfield's", but so far, I think the 'Shining" outnumber them by a big margin.